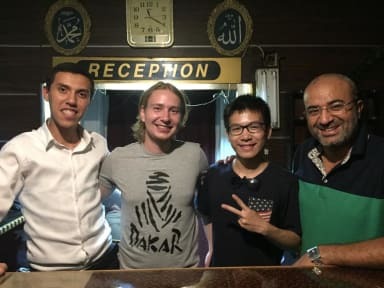 Venus Hotel i Kairo, Egypten : Boka nu! All we need just for you to book on the internet and we make reservation for you.We can also arrange group trips all around Egypt for you and we have information desk. We have a wealth of experience in the industry and know what travelers value and need during their stay. Our guests can relax in our the meeting room off the lobby where breakfast is served makes a good place to hang out after a hot day's sightseeing, cable / satellite TV. And free WI-FI access is available. Guests are also entitled to free maps to help them get around as well as a free newspaper. Trips and tours can also be booked at our reception, so don't be afraid to ask. 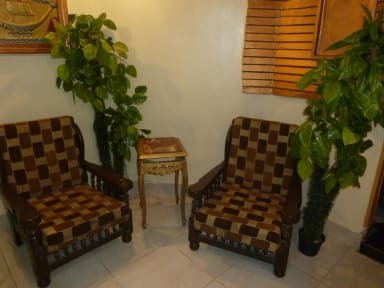 In Venus Hotel all of the rooms are clean, comfortable beds and well furnished. Bed sheets and linen are provided and most of the rooms come with reading lights, air-conditioning units and hot water is available 24 hours a day. Venus hotel is located in the city center, in the center square of Ramsis. Elhelal Elahmer hospital in the front of our hotel. - 10 minutes from the Egyptian museum.